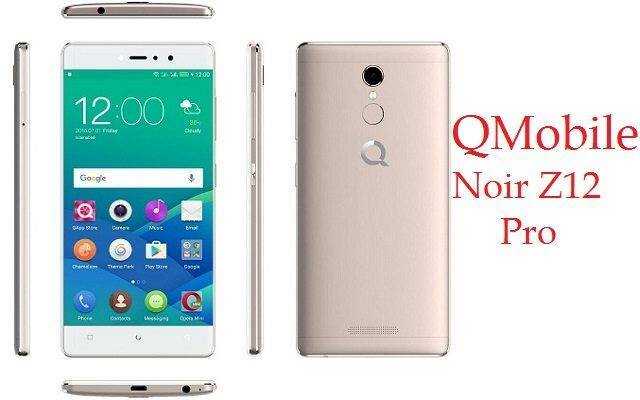 Finally after huge success QMOBILE Noir Z12 it is releasing QMobile Noir Z12 PROversion with more stylish look and fantastic features. QMOBILE is now big brand wireless cellular provider of the World and it reserves countless customers from all across the World. It has launched once again PRO version of this Noir Z12 Smartphone with amazing incentives. It has attached Android Marshmallow processor system along with Octa-Core 1.3 GHz speedy processor. Buyers will never get facing hanging problem while using heavy mobile applications. It is also providing beautiful hand-set with stylish body structure of this Smartphone. Dual SIM option is also available with other multiple options like Bluetooth, FM-Radio, WI-FI, Hotspot and many other more. This is fantastic Smartphone for cellular operators with affordable rates and users don’t get this kind of device for using this mobile from other cellular selling company of the World. It has added some unique features like finger print sensor professional shot camera option and many others more. 3G and 4G are also enabled in this product and buyers can avail both facilities for using speedy internet service with correctly. It gives charming look of its owner through its attractive body and color designing. This hand-set is complete package of Smartphone with astonishing features for cellular operators and they can connect with the World after getting this Smartphone. The details of specification are mentioned as below. Front Camera: 8.0 Mega Pixels (Touch Focus). Display Colors: 16M Colors, FHD IPS capacitive display touchscreen and Corning Gorilla Glass 3. Bluetooth, A2DP, WLAN, GPRS, EDGE, USB Host, Wi-Fi and Wi-Fi Hotspot. Audio: FM Radio, MP3, MP4, 3.5mm audio jack, WAV Players and other media player. Ringtones: Downloadable, Polyphonic ringtones, MP3, Sound-recording and WAV Files. Other Features: Multi-touch display option, GPS Support, A-GPS Support, Speaker-phone, Document viewer, Photo/Video editor, HDR camera feature, Calendars and Google Maps. Latest Features: Finger-print sensor, Auto-focus camera option, Professional shot camera option, OTG supports, External Micro SD supported up to 128 GB, Gyro sensor and Excellent for using heavy applications. Available Colors: Black, White, Gold and Silver.